Here at eDecks, we are the Kings of Decking, with more and more decking styles and varieties appearing on our website, as we always strive to better ourselves and keep our customers happy. Therefore we have put together a guide on how to work out the components needed to create your perfect composite decking area. Fixing Clips: You will need 23 clips per square metre. For example, if you have 45 square metres x 23 = 1,035 fixing clips. Or, you can also work it out as roughly 12 clips per board. Starter Clips: You will need 12 starter clips to run on the first board. 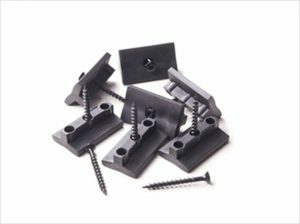 If you have over 50 decking boards, we recommend doubling the amount of starter clips and so on. 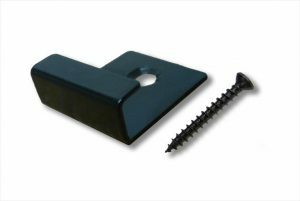 Angle Brackets: If you are using composite joists, please see below. 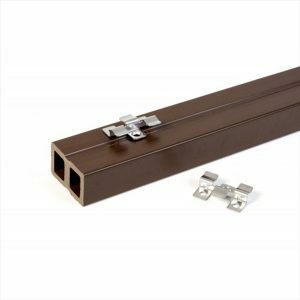 To find out the amount of brackets you require you will simply need to have double the amount of joists you have. Each angle bracket requires 4 screws. If you are using timber joists you will not need the brackets. Joists: Because composite deck boards are heavy, the joists will need to be laid every 300mm. If you have an area of 3.6m x 3.6m, the total area would be 12.96 square metres. To work out the joists for this, you would calculate it as 3600 ÷ 300mm = 12. You will also need to add on an extra 4 joists to go on the outskirts of the frame to complete the area. Decking Boards: No matter what size decking you use you will need to add on 5mm to the width of the decking to factor in the recommended gap. For example, if the width is 145mm (Real Groove), you will need to do the calculation as 151mm in width. 1000 ÷ 151 Times this by your square meterage and then divide by the length of the board you are using. If you have an area of 12.96 square metres and are using the Real Groove decking, please see below. 1000 ÷ 151 x 12.96 ÷ 3.6m = 26 boards at 3.6m lengths. This entry was posted in decking and tagged composite decking, decking, diy, garden on April 19, 2018 by eDecks. With Summer not too far away now, we wanted to showcase the different types of grass seeds, grass seed spreaders and weedkillers we have to get your garden looking stunning this Summer. With regards to grass seed, we have many different varieties, available in 1kg increments up to 10kg and then also a 20kg option. 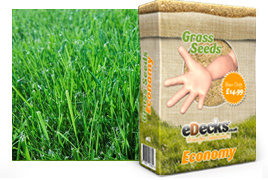 eDecks Economy Grass Seed: This is aimed at keeping the cost low for the consumer without affecting quality. A low maintenance mixture producing a yield that will look good all year round. It is perfect for large landscaping projects where value for money is priority. 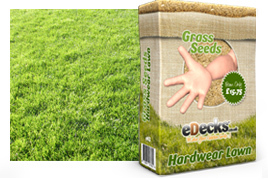 eDecks Hardwear Lawn Seed: A very hard-wearing lawn mixture with Dwarf Amenity Ryegrass. It is fast-growing with an outstanding degree of water tolerance and is ideal for gardens which need extra protection against wear and tear and is especially suitable for family use. 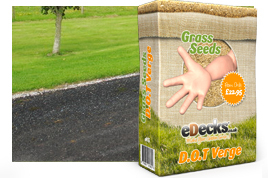 Hardwear Lawn Seed produces a superb surface suitable to a range of recreational uses. 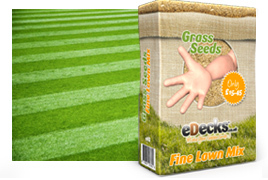 eDecks Quality Fine Lawn Seed: A ryegrass-free ornamental lawn mix which offers quality at an affordable price. 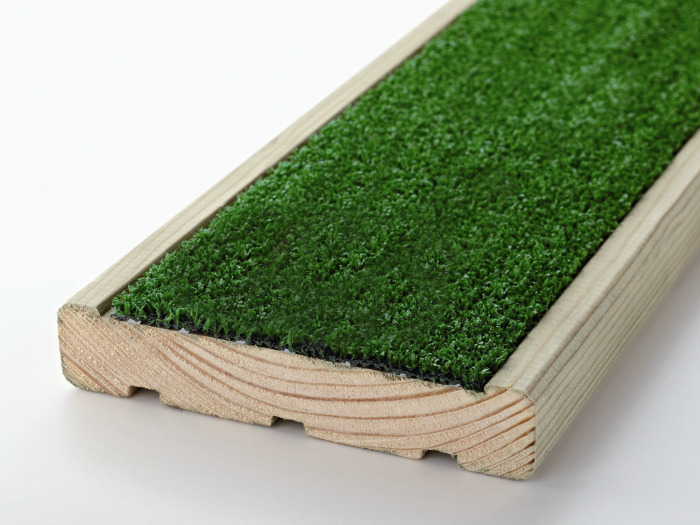 This mix produces an exceptionally thick, dense turf which provides a good year-round colour. 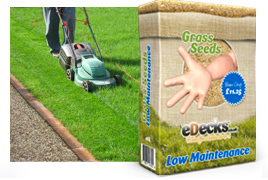 eDecks Low Maintenance Grass Seed: A slow-growing mixture which requires minimum upkeep. This seed gives a stunning fresh green colour across the seasons, combined with a good wear tolerance. 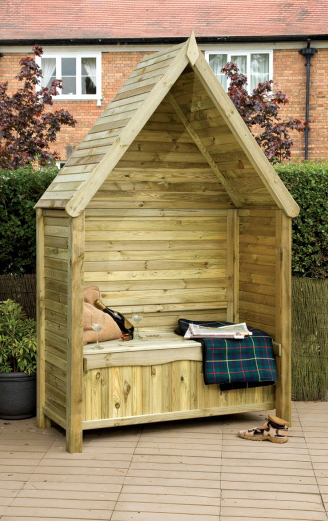 We recommend this as a superb choice for surrounds within urban or rural developments, housing or industrial estates. An economical purchase needing very little maintenance once established. 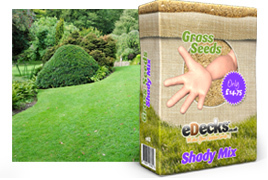 eDecks Shady Area Lawn Seed: This grass seed has been created for a lawn which is deprived of light. This mix uses ingredients which are tolerant to low light areas, enabling you to still have a successful yield all year round. 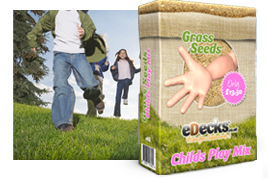 eDecks Childs Play Lawn Seed: The child’s play mixture is a dual purpose mix, which offers durability with an excellent appearance. You will find it quick to grow and it will put up with anything and everything a child can throw at it. 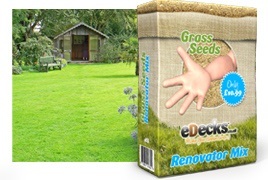 eDecks Renovator Mix: If your lawn is looking tired and you are wanting to bring it back to life, then this is the lawn mixture for you! The Renovator Mix is easy to establish and has rapid germination. eDecks D.O.T. Verge Grass Seed: A quick way to establish a mixture that offers drought tolerance and soil stability on slopes and embankments. This mixture will tolerate road salt and exhaust fumes so is safe to use on grass verges etc. 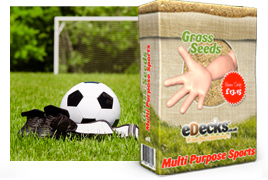 eDecks General Sports Pitch Seed: This is a versatile mixture containing both fine leaved perennial ryegrasses and fescues that will not only perform well under close mown management but will leave a dense and even sward. This is vital where consistent bounce is a pre-requisite, such as tennis and cricket. General Sports Pitch Seed also performs well under wear and is ideal for football, hockey and more. 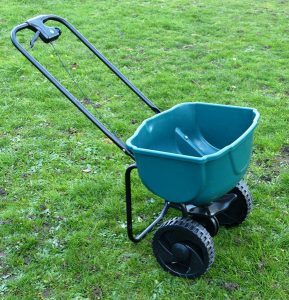 Here at eDecks, we like to make your life as easy as possible, and so along with our wide range of grass seed, we also offer two different grass seed spreaders. The first, our Budget Grass Seed Spreader is a domestic year-round broadcast spreader and allows you to cover large areas quickly. It is suitable for the distribution of seed or fertiliser. 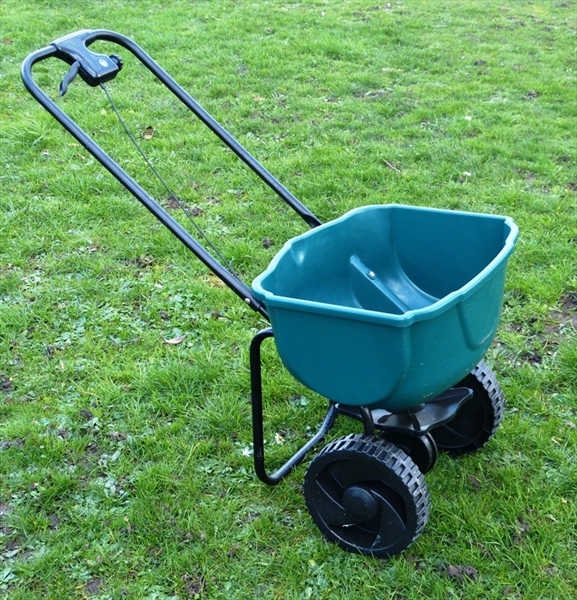 The second one we offer is the 36.5kg Seed Spreader, suitable for spreading seed and fertiliser with a 36.5kg capacity hopper with an adjustable flow rate and pneumatic tyres. 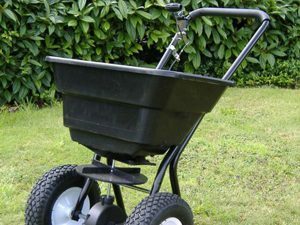 This all-round broadcast spreader is suitable for applying fertiliser and seed and the polypropylene hopper sits on a black powder coated frame, with enclosed gearing, a folding handle and a multiple feed setting control which gives a maximum spreading width of 3m. 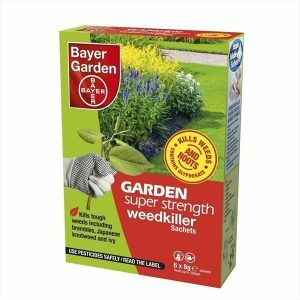 In order to rid your garden of those pesky weeds, we offer many different weed killer products, the first being the Bayer Garden Weedkiller Sachets. 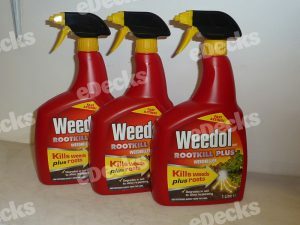 This is a systemic weedkiller which kills most tough and deep-rooted weeds including brushwood, bracken and ivy. These simple soluble sachets can be dropped into water and applied using a watering can or a sprayer. The ground will be suitable for immediate replanting once the weeds have died. 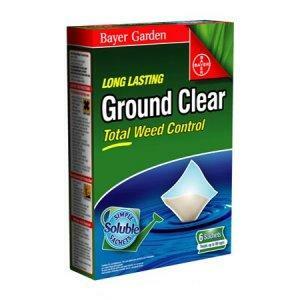 Another option is the Long Lasting Ground Clear, which is great for killing weeds prior to laying decking. It is a unique systemic broad spectrum residual weedkiller that can be used to clear overgrown areas of the garden as well as around woody ornamental shrubs and trees such as roses and on gravel paths and driveways. It is classed as a modern alternative to sodium chlorate. 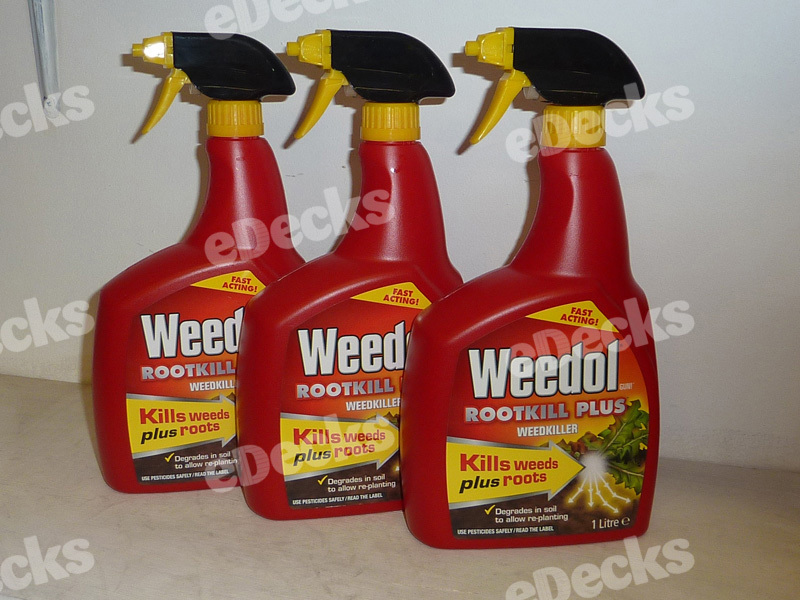 We also offer the Weedol Spray Gun Root Killer which is a ready-to-use solution which gives fast-acting visible results and effective, systemic root kill, so that the weeds don’t return. This effective and easy premixed weedkiller provides economical control of large areas of weeds all around the garden. 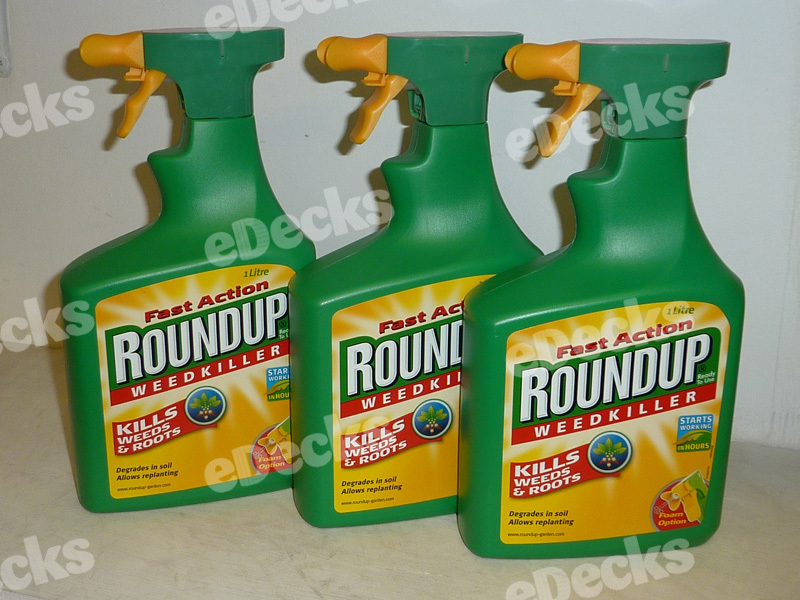 Another spray option is the Roundup Spray Ready To Use Weed Killer, which kills quick-growing annual weeds as well as tougher deep rooted perennial weeds such as ground elder and bindweed and fully degrades in soil allowing replanting. Roundup Spray is a pre-diluted ready-to-use glyphosate weedkiller that kills weeds right down to the roots so that they don’t re-grow and sprayed lightly onto weeds leaves it starts working in hours and kills most garden weeds and grasses with a single application. This entry was posted in grass and tagged garden, grass, grass seed, weed killer, weedkiller on April 17, 2018 by eDecks. 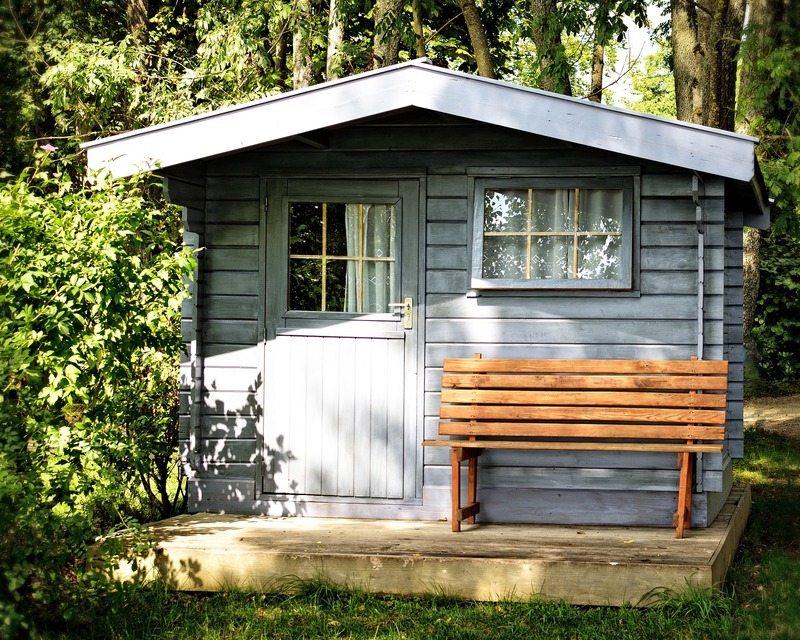 Decking is an attractive and useful upgrade to any garden, as well as helping you to avoid the upkeep of mowing the lawn. 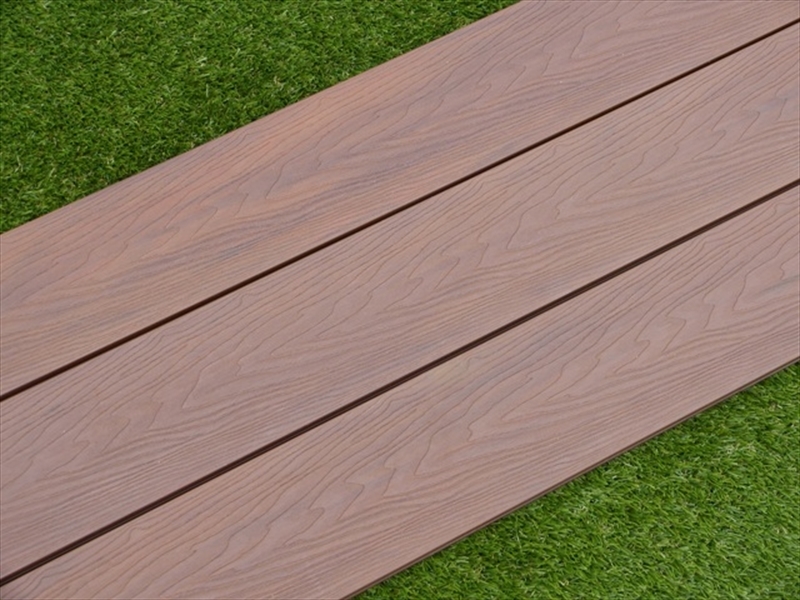 But with so many options out there, it can be difficult to choose the kind of decking which is best for yourself and your garden, so eDecks are here to help you decide between anti-slip decking and standard decking. 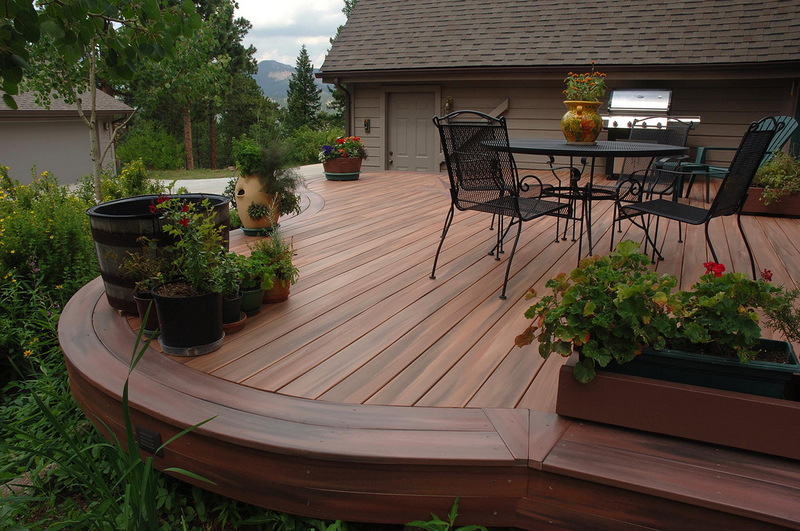 The main types of decking materials that you will find will be softwood, hardwood, composite and anti-slip. 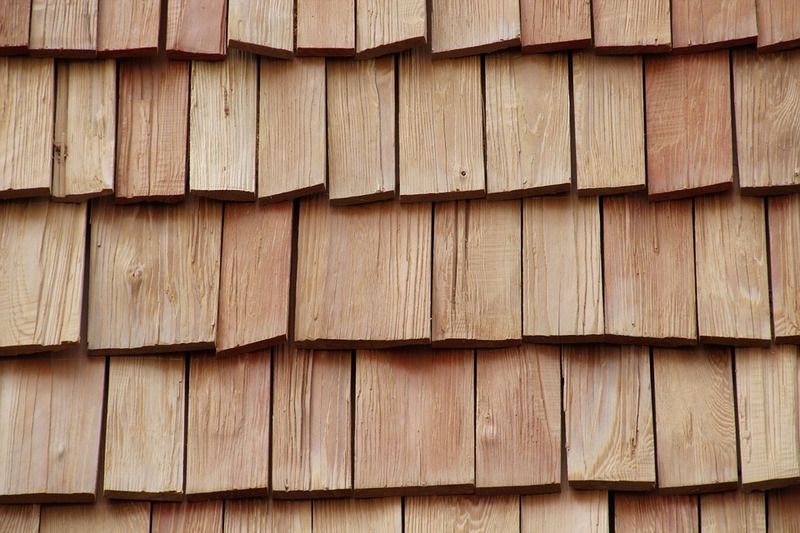 Softwood decking comes from fast growing trees such as pine, which is quickly replaceable. 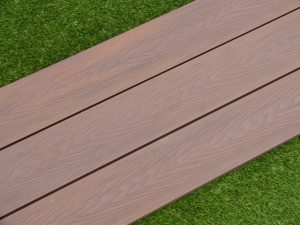 This then makes this decking material the cheapest option, but it is weaker than a hardwood or composite decking. Hardwood decking comes from slower growing trees such as oak, which can be far rarer and therefore are often the most expensive decking option. 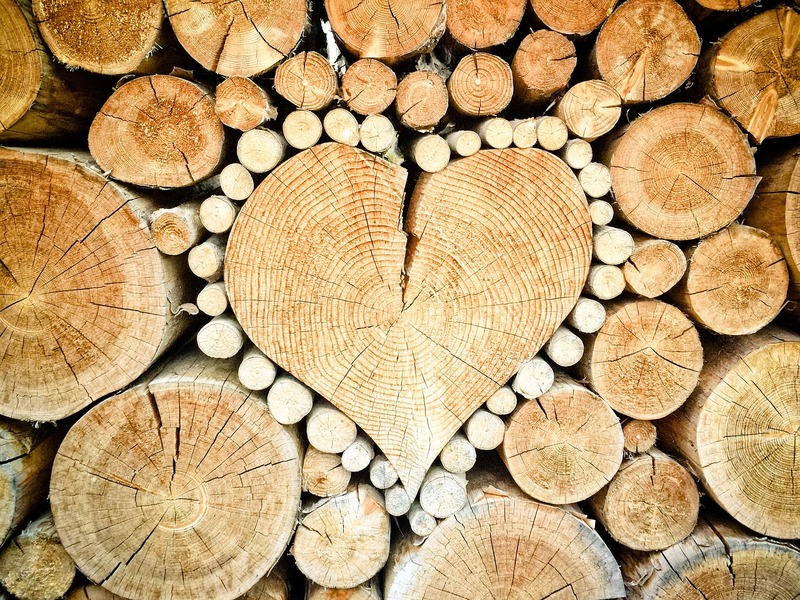 Hardwoods can pay off though – not only are they more aesthetically pleasing but they usually last longer than softwood and require much less maintenance. If you live in a particularly wet part of the UK, or you’re planning on adding a high-risk slip area to your deck, such as a hot tub, you may want to consider how you will make your deck safer to use. Anti-slip decking is a perfect solution for this, or whether you have young children, or are simply unsteady on your feet. 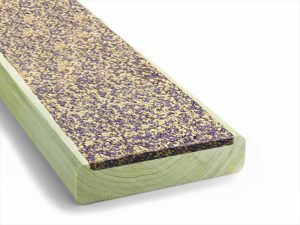 If you know your deck is likely to face a great deal of water and heavy foot traffic, getting full anti-slip boards may be your safest option. Full anti-slip boards feature large inserts that cover the majority of the board with a rubbery material that is not only waterproof but more importantly – slip resistant. This means that you will still be able to walk across your decking safely, even when covered in large puddles of water. These are the best decking boards you can get to avoid accidents and will have the best grip, so if you are looking for a very safe deck or if you are decking an area near a pool or hot tub, we would highly recommend using these boards. Anti-slip strips aren’t always to everyone’s taste aesthetically, but you can get them in a variety of different colours to suit your deck – there are even grass look decking boards if that is something you feel would fit your garden. 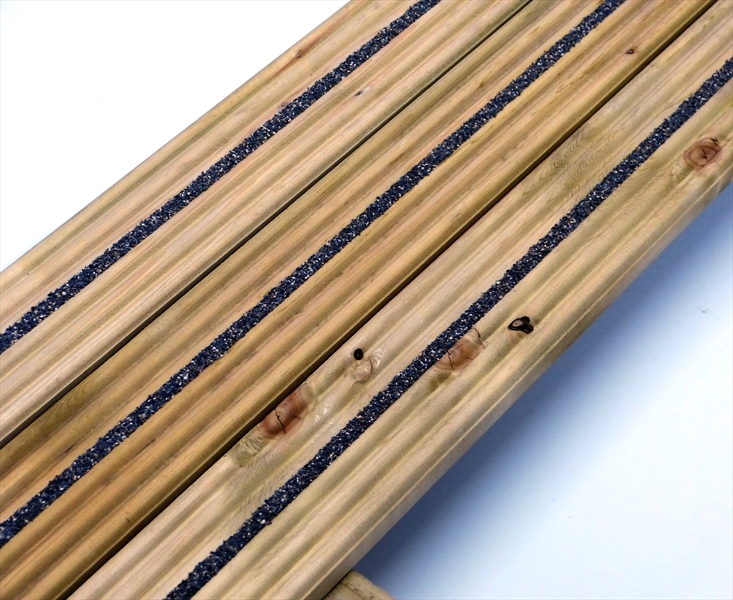 If your decking isn’t used as a splash deck, but will still be exposed to water, you could invest in some anti-slip decking with built-in anti-slip strips. These decking boards look very chic and the anti-slip strips are probably the least noticeable of any option – so if you’re wanting a good looking wooden deck, but with the extra safety of anti-slip features, these are the boards for you. 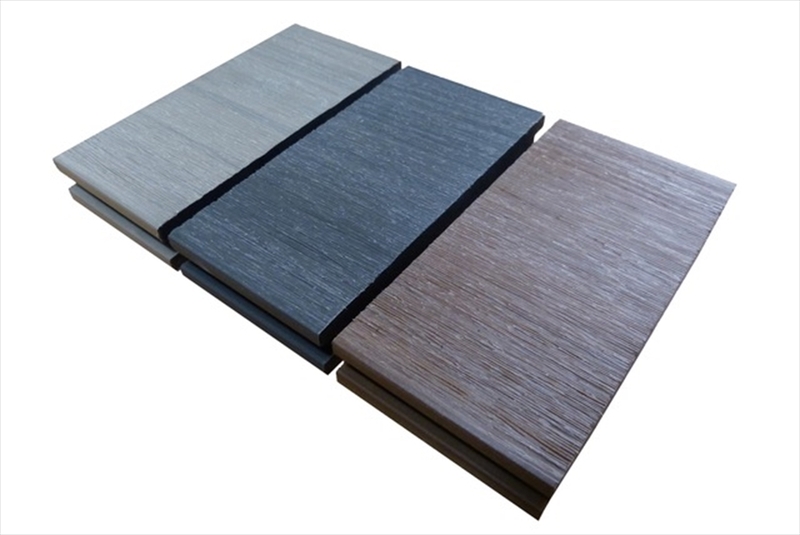 Made with thin anti-slip strips of material made of resin and aggregate, each line of anti-slip material can easily be mistaken for a shadowed groove instead of a safety feature. Because of the incredibly professional finish, these can be a popular but more expensive option, however, we would always recommend speaking to one of our friendly yet professional sales team before being put off by price as we always offer incredible decking on many types of decking. You can even buy samples of all decking options to ensure you pick the best product for you and your deck. 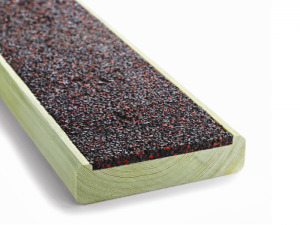 To conclude, anti-slip boards will last the same amount of time and need the same treatment as standard softwood decking boards and this goes for the hardwood option too. Hardwood decking and anti-slip hardwood decking will last the same amount of time as each other and will also require the same treatments. 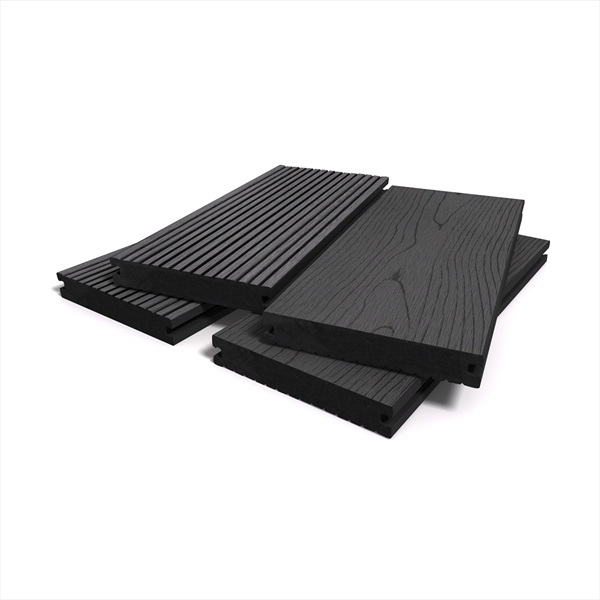 The only difference between Softwood, Hardwood and Anti-Slip Decking boards is the fact that they have the grit inserts running through the boards and will be a lot more comfortable under foot than your normal decking. 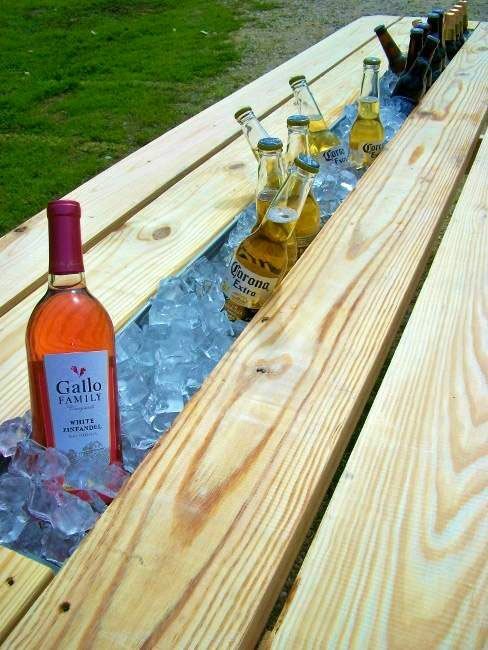 This entry was posted in decking, Decking Accessories, Decking Advice, diy, Garden DIY and tagged anti slip decking, anti-slip, decking, diy, garden, timber on March 8, 2018 by eDecks. 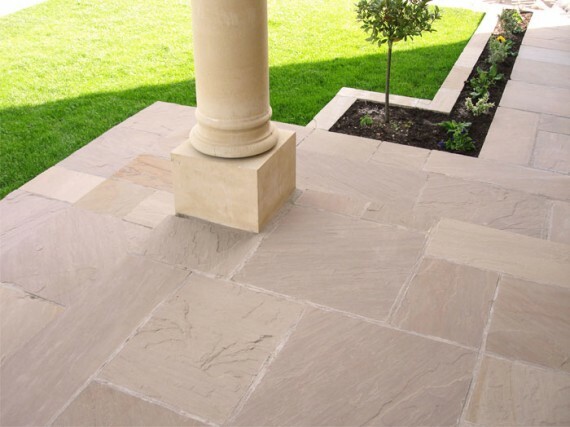 Limestone v Sandstone: Which Indian Stone Paving Material is Best for You? 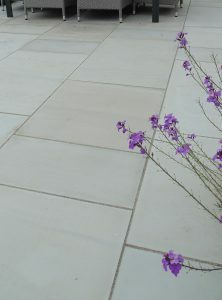 The types of stone paving available are exhaustive, however two of the most popular are sandstone and limestone paving. Today we are going to take a look at both in a comparable state to help you decide which is the most preferable stone for yourself. Sandstone is available in multiple colours, from light buff through to beige, silver grey and shades of dark brown and black. Within each shade group you then have complementary tones and bands of colour which appear subtle when dry and then become much more vibrant when wet. 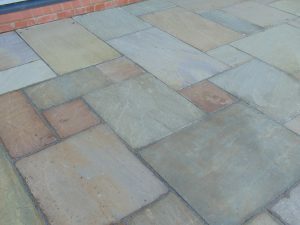 Lighter shades of sandstone are ever so slightly more porous than the darker colours and tend to need additional cleaning or a sealant applying. Sandstone has a rippled and uneven surface and hand-cut edges and can either be a hand-cut thickness or calibrated to an even thickness which will help you when laying the paving. 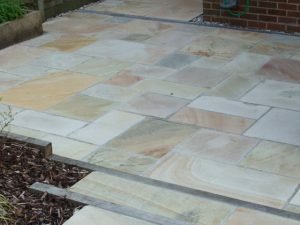 There are other effects and finishes when it comes to sandstone, for example antique/tumbled sandstone has been finished with a time-worn effect with a slightly flatter surface and rounded edges to give the appearance that these stones have been walked over for hundreds of years. 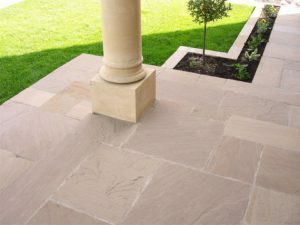 Antique/tumbled sandstone is often available in more muted shades, making the property more suited to older style properties and period homes. Sandstone with a sawn finish has a very different appearance, making it a more contemporary option, with its sawn straight edges which enable close jointing which complements the contemporary theme. You will find that sawn sandstone usually has either a honed surface making it super smooth to touch or a sandblasted texture, giving it a gritty feel. 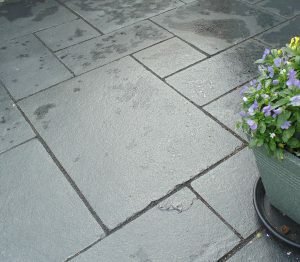 Limestone paving is rather similar in appearance to sandstone, but tends to have a flatter surface with less riven edges and more of an orange-peel texture to it. The colours available in limestone also tend to be more limited than sandstone with three main colour choices of buff-grey, blue-grey and blue-black. With natural stone, there will always be some variation in colour, however limestone gives off a lot less colour banding and variation of shade than sandstone. One of the great advantages of limestone paving is that it may be placed in numerous areas, such as driveways, patios, walkways, pathways, courtyards, verandas and stepping stones. The versatility of limestone pavers means that they can be applied just about anywhere around your home, both externally and internally. Because limestone is relatively soft compared to other stones, it can therefore be cut much easily to fit in with your intended project. When using natural stone paving, you will never get two natural stones with the same colouring, patterns and tones, making it completely unique to your property. 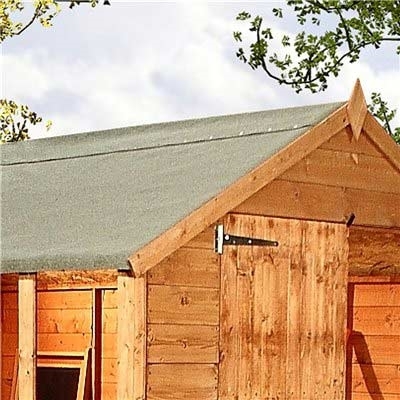 It is also formed to be able to handle various weather conditions, ensuring it maintains its appearance for centuries, with minimal wear and tear. With regards to caring for your natural stone paving, you will find maintenance a doddle – it is extremely easy to clean and naturally has smaller joints than concrete paving, which even reduces the amount of weeds growing in-between any cracks. Due to natural stone’s durability, you will also find that you won’t have to constantly replace and repair sections of paving as no significant damage should ever occur. It doesn’t have to cost the earth to use natural stone paving, and you will find that in the long run it actually saves you money as you won’t be having to repair or replace the stone. Colours and shades available in natural stone paving are Raj Green, Carbon, Kota Black, Umbra, Multi Buff, Shadow Grey, Tallow Fossil, Modak, Two Tone, Mint, Lalitpur Yellow, Kotach Blue and Yellow Limestone, giving you endless possibilities to create your dream paving area. As it is a natural product, you may eventually find that algae may build up over the years, particularly on a north facing patio with little sunlight. However, this can be prevented by using a sealant such as the Thompson’s Satin or Wet Look Finish Patio & Block Paving Seal, an advanced acrylic formula protection for paving and driveways, which seals and protects from moss and algae growth, whilst leaving a lovely satin or wet look finish. 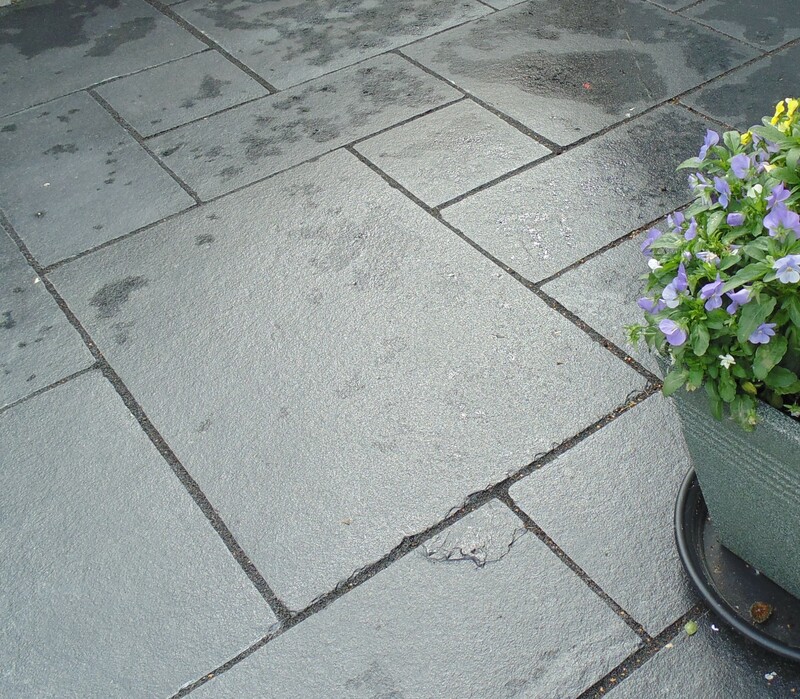 Paving Seal enhances the appearance of your paving, protects against oil or fuel spills, moss and algae growth and damages from weather and wear and tear, so it is definitely worth considering this option with your paving, however it is not recommended for use with Carbon Indian Stone. When laying your paving, we recommend using the Nexus ProJoint Fusion All Weather Paving Joint Compound in either Buff, Mid Gray, Basalt or Black, which is a quick and easy solution for filling joints between paving slabs and setts, suitable for natural stone and concrete paving. It provides you with a weed-free, frost-resistant joint without staining the paving, saving you both time and money. This entry was posted in Garden Design Ideas, Garden DIY, Indian Stone, paving and tagged diy, garden, indian stone, indian stone paving, limestone, paving, sandstone on December 21, 2017 by eDecks.